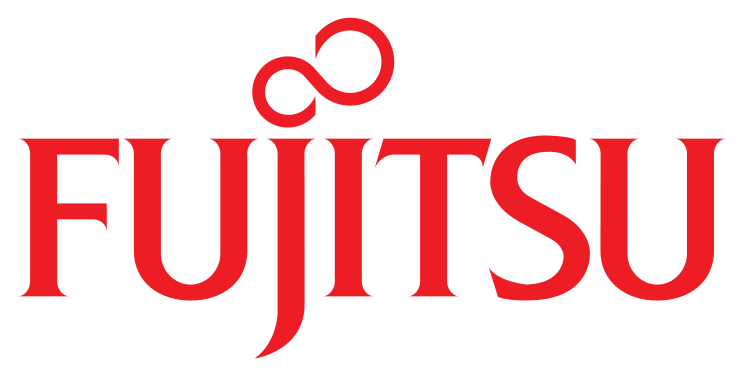 Facebook was the fastest-growing advertising market in the fourth quarter of 2014 making the advertising platform one of the most effective methods of advertising available. 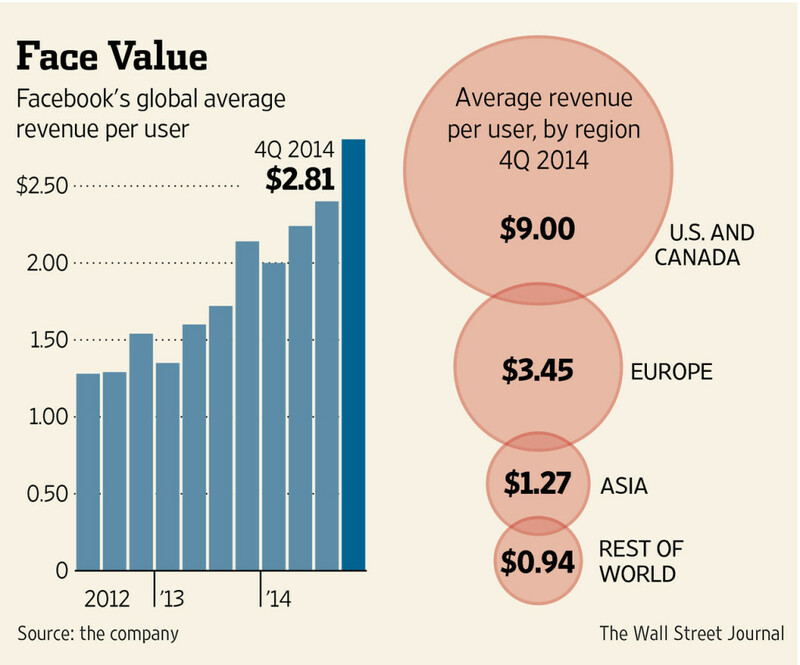 In the U.S. and Canada, Facebook’s most-developed market, revenue grew even faster, to $9 a user, up from $6.03. As of December 31, 2014, Facebook has over 1.39 billion monthly active users and 1.19 billion mobile monthly active users. And these people are essentially giving you all the details of their lives and what they’re interested in. Businesses make tons of money on Facebook ads alone. 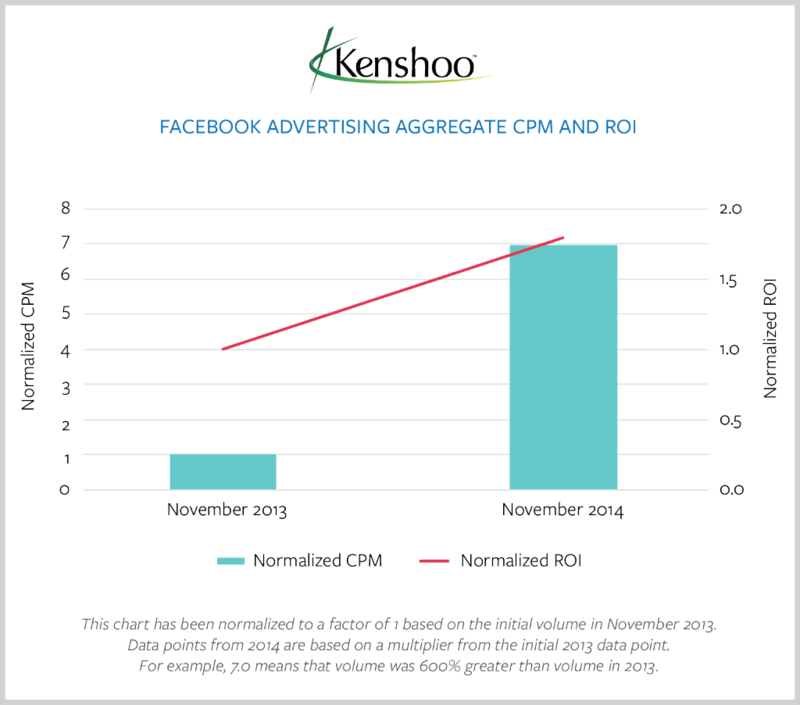 Advertisers saw click-through rates increase 3.75X in 2013 compared to 2012. From November 2013 to November 2014, retail advertisers saw almost a 200% increase on their return on investment with Facebook ads. 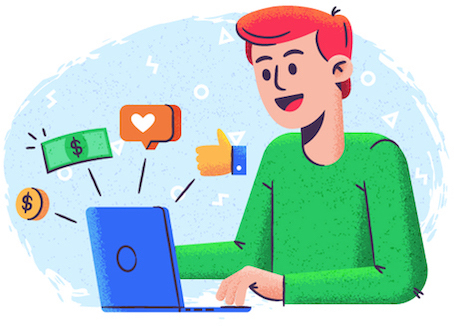 All of this is to say that, as Facebook advertising platform continues to grow, your business can join and reap the benefits of that platform. It’s not too late to figure out how to make Facebook ads work for you. If you’re running Facebook ads but not seeing any results and you’re just about to curse it and drop your Facebook advertising campaigns altogether, I’m about to tell you about 27 Facebook advertising mistakes you can avoid to start seeing real results. By avoiding these mistakes, you’re going to stop wasting money and start earning it. Here are the 27 Facebook advertising pitfalls to avoid. 1. You haven’t clearly defined your goals. First thing’s first: you MUST have a goal in mind. The easiest mistake to make in running Facebook ads is not having a clearly defined goal because you won’t know what signs of success to look for. You have the choice to increase page engagement, get likes, send people to your website, giveaway offers and so on. Now you have to decide which type of ad will help you reach your goal. Are you trying to collect emails? Or promote a specific product? Or get more sales? 2. You aren’t targeting or segmenting your audience. Everyone would look at me like I’m a crazy person. Chances are, no one there will care about my app and no one wants me to change how they listen to music. That’s essentially what you’d be doing if you serve your ad to everyone on Facebook (it’s also a waste of money). You need to segment your audience, determine what type of people are interested in your business and target specific groups of people based on their location, their interests and demographic. 3. You’re not testing your audiences. When I first started running Facebook ads, I knew about segmenting and targeting audiences. I thought I knew who my audience was so I targeted those people. Turns out there was another group of people who were more interested in what I had to offer. Test your audiences to make sure you’re targeting the right audience. Also test other similar demographics to see if you can expand your target audience. 4. It’s not clear what you’re offering. Don’t be like this ad. So they have melons. Are they edible? A clearer message would be, “Fresh cantaloupes from Arizona, available at your local Sam’s Club.” At least that would tell me they want me to buy their melons. If your offer isn’t clear, no one is going to take a second look at your ad. Take a look at the next two ads. 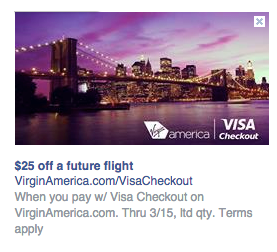 For the first ad, $25 off a future flight? Awesome. They take Visa? Great, I use Visa. The second ad is a little more vague. It’s not too clear what they mean by “It’s like shopping. 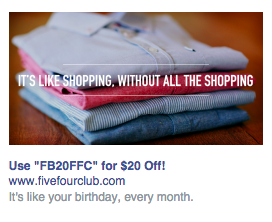 Without all the shopping.” However they offer a $20 off coupon, presumable to buy shirts. In this case, although it’s vague what they do, they do provide a clear offer. The best Facebook ads have ONE clearly defined offer. 5. You’re pushing people to your homepage instead of a landing page. People need to be told what to do. If someone clicks through your ad and end up on your website homepage, they won’t know what to do. Should they read your about page? Or look at your products? Should they contact you instead? Or they’ll just leave your website. If someone has clicked to your website, then they’ve shown some interested in what you have to offer and that’s rare. So now you have to keep their attention by telling them exactly what to do. So push them to a well-designed landing page where there’s one clear call to action. The landing page should also provide something of value that will keep the reader interested. 6. You’re sending people straight to a sales page. Imagine you get a call from an unknown number. You answer the phone and they start selling you on some diet supplements. You would no doubt hang up or tell them you’re not interested. Whereas Google Adwords are search-based, Facebook ads are display-based. People don’t see your ad because they’re searching for it. They see it because you’re putting it in front of them based on what they say they like, not what they say they will buy. When someone clicks on your ad, they don’t expect to be sold right away. They don’t wantto be sold. Instead, you should grow their interest by sending them to a landing page with useful information. 7. Your landing page isn’t converting. There’s no point in pushing people to a landing page if they don’t convert. Optimize your landing page for conversions. If you want to collect emails, then provide an enticing offer and provide a clear call to action for the reader to enter their email. If your Facebook ad is good enough to generate a click, you don’t want to lose that opportunity by having a weak landing page. Hubspot has a great article on what makes a good landing page. 8. You’re too focused on getting likes. Likes are fine, but they won’t get you sales. At Single Grain, our goal is to increase the bottom line for our clients, so we focus on sales and conversions. 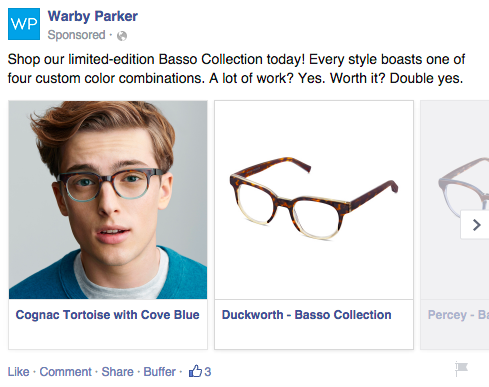 Facebook is slowly adding new features to help advertisers increase conversions. It’s a good idea to take advantage of these new tools. In this ad, Warby Parker displays multiple products that I can browse through, giving them more opportunities to sell me on a pair of glasses. Again, if your goal is to get more likes, that’s fine, but you have more tools at your disposal to generate sales, and dollar signs are nicer to see than a thumbs up. Noah Kagan shares how you can profit off your first $100 Facebook ad spend. 9. Your images aren’t the right size. Jon Loomer did the legwork and provided us with the exact Facebook image dimensions. Now you won’t spend all your time designing an ad and find out that it’s the wrong size. 10. Your headlines are boring. The headline is arguably the most important part of your ad because it’s your first chance to make an impression on the reader. If it doesn’t catch their attention, they won’t read the rest of your ad. Copyblogger has a great article on how to write headlines that work. 11. You aren’t A/B testing your ads. From your headline, copy, image and call to action, all elements should be split tested to optimize your ads performance. Just because an ad is working right now, doesn’t mean it’ll work next month or next week. By testing different versions of your ad, you will keep it up-to-date and ensure it continues to perform well. 12. Too much focus on artistic eye. Some advertisers make the mistake of going with “artistic instinct.” Here’s the thing: what you want to see may not be what your customers want to see. If you’ve tested your ad elements (which you should be) you may find that an image you don’t particularly like is performing better than all other images. The numbers don’t lie. Forget your artistic intuition and let the numbers decide which image to go with. You need to optimize your ad for conversions, not aesthetics. 13. You have a weak call to action. A weak call to action is like building up hype, but not taking advantage of it. If you’ve mastered your headline and image, you need a call to action to take the reader to the next step. Increase conversions for your ad by writing a powerful call to action. 14. You’re not using tracking URLs. Tracking URLs tell you the source of your traffic. You can create these custom URLs using Google URL builder. If you’re sending users to a page on your website, tracking URLs help you determine the effectiveness of a campaign. This becomes really useful if you have multiple campaigns going running on different channels like Twitter, your blog, Youtube and so on. 15. You’re killing ads too soon. Your Facebook ads won’t always work immediately. Depending on the daily budget you set, you may need to give your ad 2-3 days to give you actionable data. Once you have that actionable data, you can pull useful reports and know the proper steps to take to improve your ads. 16. Your audience might be too narrow. oCPM bidding works best on audiences >1,000,000 people (try narrow audiences with cpc or cpm bids). 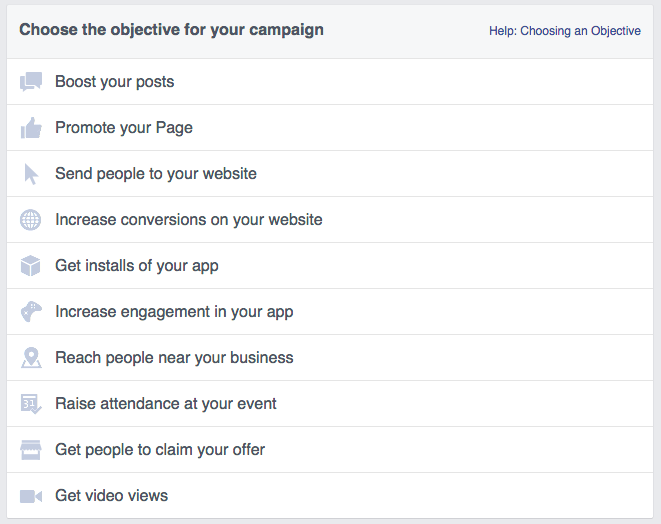 Facebook recommends starting with CPC bidding before you even try oCPM. Get some benchmarks in place for CTR, conversion rate, and relevance score. Then Facebook’s algorithms will have more data to work from. 17. You’re putting all your eggs in one basket. Don’t make the mistake of putting all your ads in one ad set. You should have multiple ad sets, each targeting a different audience. This helps you avoid saturating your audience with the same ad over and over and allows you to send different ads to each demographic. Say you’re an online business based in California and you’re trying to get clients in New York. You can’t expect someone from New York to understand the same references that a Californian would understand. It’s a different culture. Make sure your ads are segmented and tailored for each demographic. With the new structure of Facebook ads, Facebook’s algorithms do a better job of choosing winners and losers from your tests… but only if you set them up correctly! The infographic above shows you the best practices. 18. 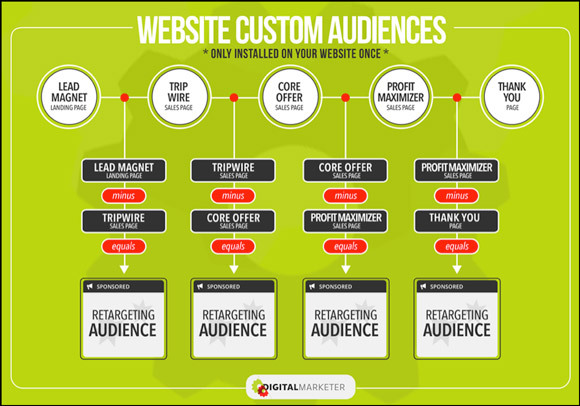 You’re not taking advantage of retargeting. Have you ever done some online window shopping on Amazon then went on Facebook and saw an ad for the exact item you were looking at? You’ve been retargeted. But retargeting isn’t only for e-commerce. You can use it for any page on your website. You can set a retargeting pixel on specific pages on your website so when people land on your page, a cookie is dropped on their browser. Then you can retarget them with a relevant ad. This tactic only targets people who have already demonstrated interest in your business by visiting your website. Much less effort than getting a new lead. 19. You aren’t using lookalike audiences. If you’ve been retargeting and advertising to your current customers frequently you’re going to experience ad fatigue quickly. 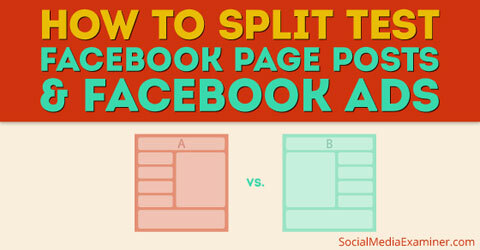 At that point, it’s time to expand your reach using Facebook lookalike audiences. Lookalike audiences help you reach people who are similar to your current customers for fan acquisition, site registration, off-Facebook purchases, coupon claims and brand awareness. 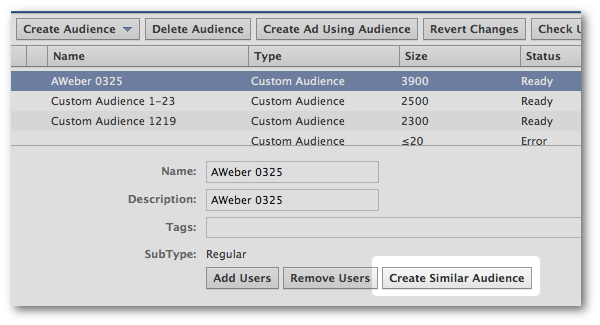 Using Facebooks lookalike audiences took, you can analyze your current customers and Customer Audience lists to create a new segment based on their similarity to your customers. 20. Don’t forget to check your placement/demographic reports. Facebook has included some awesome default reports in their updated reporting section including “Responder Demographic” and “Placement Based Metrics”. Even if you don’t segment your audiences by age, gender, or placement, that doesn’t mean you can’t get that valuable data. Say you have a campaign targeting people of all ages and all placements. By running these reports, you can see if there are any sub-audiences that are more active than others. What if most of your conversions are coming from 25-35 year old males? What if your mobile CPA is 50% less than desktop? These reports can help you identify if there are any key audiences that you should be focusing on. 21. You’re not taking advantage of CPM bidding. If you’re looking to develop awareness instead of getting sales, CPM bidding could be your best option. If you’ve got a targeted audience size of about 10K, then CPM bidding may be cheaper than CPC bidding. 22. Don’t try and get the cheapest clicks or impressions—you get what you pay for! Cheap clicks don’t equate to quality. There’s a reason the highest bidder get the most clicks, because quality clicks are in higher demand. It depends on your situation, if you’ve managed to target a small niche that generates cheap high quality clicks, awesome. The key thing to remember is that it’s about quality, not quantity. If you have an email list, you can target them using Facebook ads. This takes advantage of people who have already shown interest in what you have to offer and pushes them further down your conversion funnel. It takes much less effort than generating a lead. This also falls into Facebook’s recommended best practices. You need to be patient when you’re testing different budgets or Facebook won’t have enough time to show an effect. We recommend only making one or two changes per day then LEAVING IT ALONE for at least a day to let the computers do their thing. I know it’s tempting to constantly tweak your campaigns, but you’ll miss out on impressions due to your ads being in “waiting approval” limbo all day. 25. You’re setting it and quitting it. This is the biggest reason advertisers lose money on Facebook ads. They set up their campaign and just let it run without checking on it. If you have tons of money, then the money probably isn’t a big deal, but you won’t be getting returns from your ads. If you’re on a small budget, you probably want to get as much bang for your buck as you can. That means you have to check on your ad regularly, at least weekly or daily. Run your reports and review the data. You want to keep an eye on your click-through rate (CTR), cost-per-click (CPC) and cost-per-acquisition (CPA) to make sure they aren’t horrible. If so, then you can pause your campaign and adjust your ad to lower your CPC and CPA and increase your CTR before it’s too late. 26. 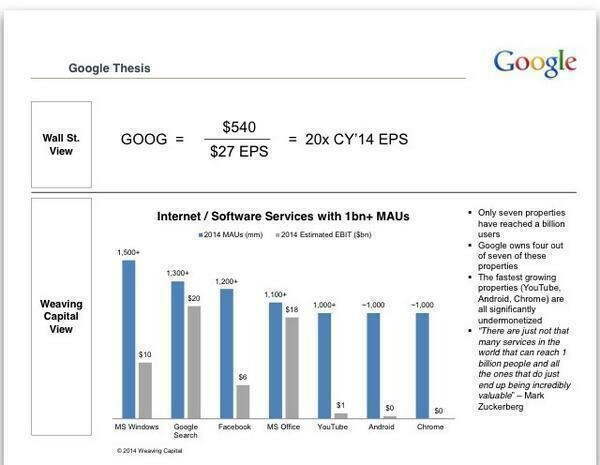 You’re not tracking ROI. You may be checking up on your campaigns regularly, but if you’re not tracking for ROI, then your CTR, CPC won’t matter at all. KISSmetrics has an amazing infographic on how to track online ad ROI. 27. You’re not scaling up on what’s working. If your ads are performing amazingly, then by all means, scale it up (as long as it’s in your budget). What some advertisers don’t understand is that, if your ad is performing well and generating sales, it’ll pay for itself (and more) if you scale up. Don’t worry, that was a lot of information to take in at once. By no means should you try implement every piece of advice here. That would just get exhausting. The important thing to remember is that there’s hope. Facebook ads CAN be a profitable marketing channel IF done correctly. By following the steps above, you’ll improve your Facebook ads little by little and you’ll start to see the return on investment. 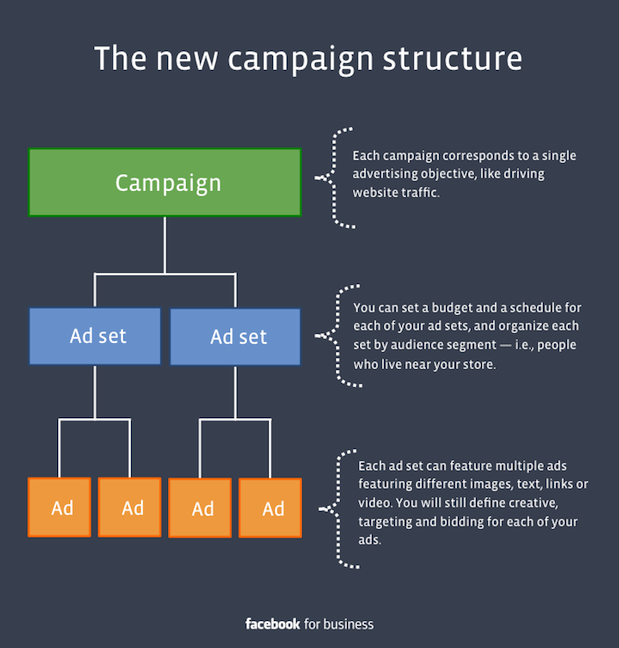 So how are you going to start doing Facebook ads differently? Should You Send Paid Traffic to Your Content Marketing Campaigns?